VAC-TEC LLC is a septic company with vast knowledge and experience of sewer and drainage systems around a home or business. With a trained team, we can quickly identify problems in the dry well system and perform dry well repair for Tacoma, WA residents. Once our team has identified the dry well problems, we perform repairs quickly to ensure the storm runoff or your gray water continues to drain correctly. When you give us a call, our dry well repair team operating in the Tacoma area will visit your residence quickly to assess the dry well problem, and will accordingly provide you a free estimate. Looking for a new dry well system for your Tacoma property? Call us now to discuss what you need. Our dry well specialists will give you a free written estimate covering all the costs. We provide safe, courteous, friendly advice to educate the consumer about their system. Whether it is for a new home or an addition, we ensure a professional installation of the drywell system. You can improve the life span of your dry well system by getting it cleaned regularly. 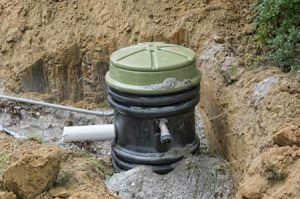 It is best to hire experts to handle the maintenance of your dry well. Our team is trained in handling systems of different sizes and can perform dry well repair on even the oldest of systems. 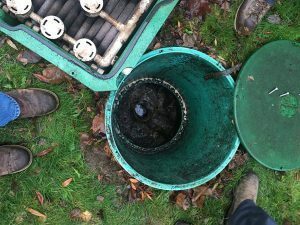 Over time, dirt and other debris can accumulate at the bottom of the well, preventing collected water from filtering into the soil. We identify the source of dry well problems for your Tacoma property with the help of the latest equipment and methods to unclog the pipe. We are eager to offer you high-quality dry well systems and the best customer service at the most reasonable prices around. For dry well repair services for Tacoma dry well systems, call the experts at VAC-TEC LLC. You can reach us at (253) 777-4887 if you are experiencing dry well problems.